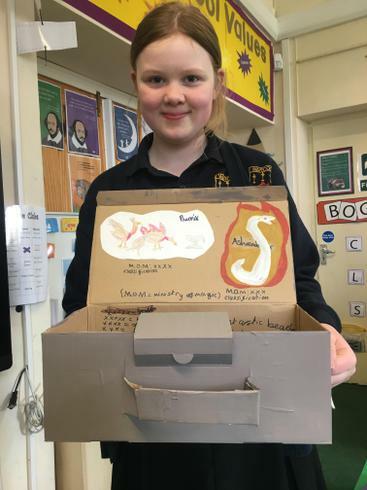 Emily based her box around 'Fantastic Beasts and where to find them'. 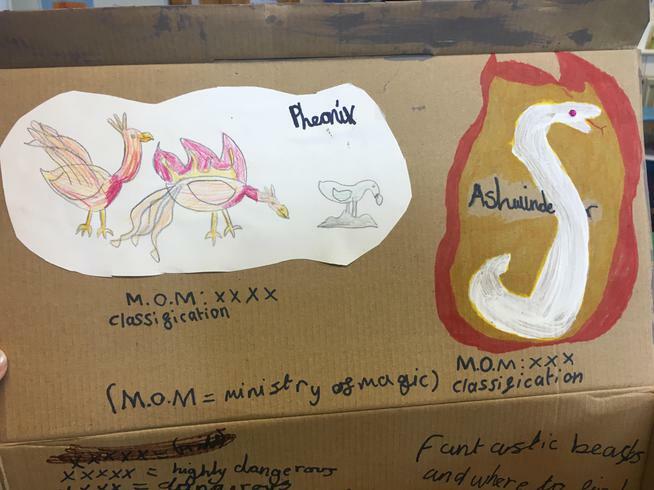 She explained that this book is now a film and that it links to the Harry Potter series. 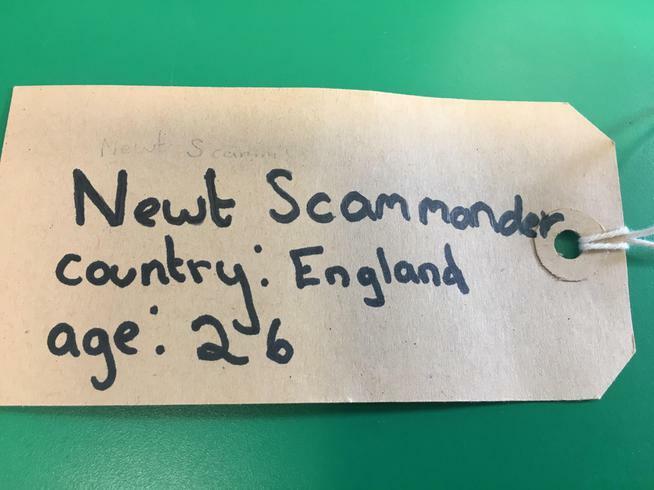 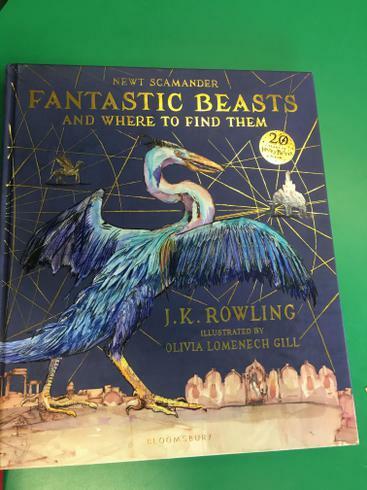 Emily read sections of the book relating to her favourite fantastic beasts and discussed how the rating system explains how dangerous any given animal is. 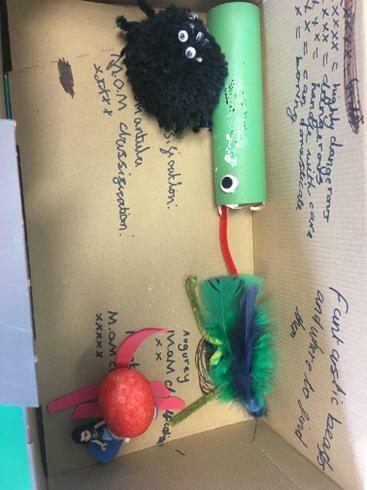 She decorated her box to look like a suitcase.